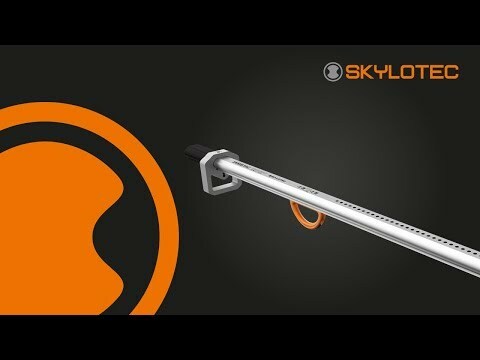 New to the SKYLOTEC range an available now is the SUSPENSION RELIEF STRAP. They alleviate the effects of orthostatic shock, also known as suspension trauma. The term suspension trauma describes a potentially life-threatening shock. The forced posture (orthostasis) leads to a pooling of blood in the lower extremities. Blood is not sent to the brain, which may initially result in unconsciousness and death shortly thereafter. The SKYLOTEC SUPENSION RELIEF STRAP are a short term solution for alleviating suspension trauma. By using the SUPENSION RELIEF STRAP the blood circulation gets better. The SUPENSION RELIEF STRAP are small, lightweight and can be adapted for almost any harness.